The Old Trafford faithful were treated to a stellar display against Newcastle United last weekend, plus the much-anticipated return of Zlatan Ibrahimovic, who came on as a substitute during the thumping 4-1 win. 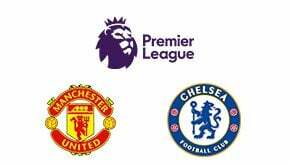 Manchester United will be keen to follow that up with another three points on Saturday 25, in the 3pm kick-off against Brighton, as they aim to keep chipping away at the eight-point lead of Manchester City in the title race. Boasting the strongest home form in the Premier League this season, the Red Devils have won all six of their encounters so far, scoring 19 goals and conceding just once. Needless to say, visiting Brighton will have their work cut out for them, with United strong favourites to take all three points in front of their fans. Paul Pogba appears to be back at his midfield best, whilst Romelu Lukaku is still banging in the goals, and unless the midweek Champions League game against Basel throws up any injury problems, Mourinho won’t take any chances and should field a full-strength side. 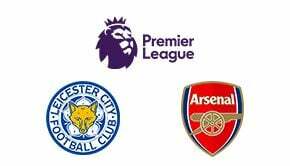 Arsenal gained the bragging rights with their North London Derby win against Tottenham Hotspur last weekend, which could provide the spark to their season, providing manager Arsene Wenger keeps faith in his most potent attacking trio. The Lacazette-Ozil-Sanchez trident looked unstoppable against Spurs at the Emirates, but surprisingly, it was only the third time they’ve featured together thus far this season. Heading north on Sunday 26 for a 2pm duel at Turf Moor, consistency will be the aim for Arsenal when they take on Burnley, with both level on 22 points in the Premier League. Indeed, a win could potentially push either team up to fourth position in the table, so neither side will be settling for a draw. 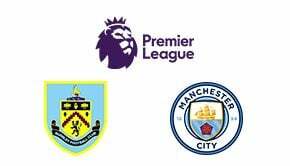 Burnley have defied expectations during the 2017-18 campaign, so football betting experts and bookmakers alike have kept a close eye on the progress of the Clarets. A home win for them against Arsenal would be priceless, especially if goalkeeper Nick Pope can continue his excellent run of form with another clean sheet. You can find details of all the leading online bookmakers here at BettingTop10, including bet365, who place Burnley as a tempting 33/1 outside bet to finish in the Premier League top six.